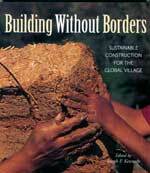 This book describes the efforts to create sustainable shelter for the billions who are currently under-housed, without destroying natural habitats to do so, by drawing upon local traditions such as bamboo, straw bale and earthen construction. Highly illustrated and popular in style. 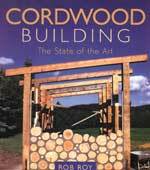 This book collects the wisdom of over 25 of the world's best practioners, detailing the long history of the method, and demonstrating how to build a cordwood home using the latest and most up-to-date techniques, with a special focus on building code issues. 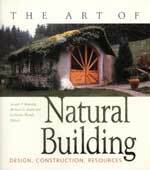 This book outlines a reliable method for constructing homes, outbuildings, garden walls and more. This enduring tree-free architecture can also be used to create arched and domed structures of great beauty. 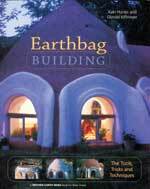 This highly illustrated book discusses the merits of earthbag construction, and the key elements of an earthbag building. This book is easy to read, solution oriented, humorous and full of stories and advice that empower families to take back their health on a daily basis. Topics covered include: A Healthy Home Quiz; factors affecting indoor air quality; problems and solutions room by room; toxic materials; cleaning products; household hazards; and an introduction to Building Biology. 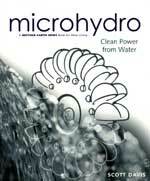 Water is the world's most abundantand cleanestsource of renewable energy. But despite lively interest in renewables generally, there is an information vacuum about the smallest version of the technology dubbed the simplest, most reliable and least expensive way to generate power off grid. Highly illustrated and practical, this book covers both AC and DC systems, it discusses principles, design and site considerations, equipment options, and legal, environmental and economic factors. 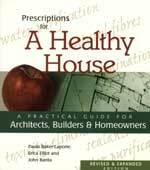 This book explains why standard building practices are not healthy, shows how to design interior and exterior space and select construction materials that promote physical well-being, and how to obtain alternative materials and expertise. This fully updated classic of sustainable living technology tells how and gives you access to the world's most extensive selection of hardware to make it all happen. 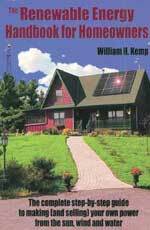 This 12th edition is the ultimate resource on renewable energy, sustainable living, alternative construction, green building, homesteading, off-the-grid living and alternative transportation, written by experts with decades of personal experience and passion for sharing their knowledge. 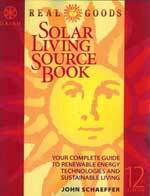 This book includes in-depth sections on: Sunshine to Electricity From Panel to Plug; Water Systems; Water Heating; Water & Air Purification; Composting Toilets & Greywater Systems; Off-the-Grid Living & Homesteading Tools; plus over 150 pages of maps, wiring diagrams, formulae, charts, electrical code, solar sizing work-sheets and much more. 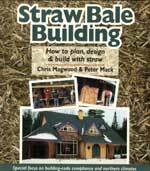 This book leads the potential builder through the entire process of building a bale structure, tackling all the practical issues from how to find and choose bales; developing sound plans; costs; roofing; electrical, plumbing, and heating systems; building code compliance; and special concerns for northern climates. by Joseph Kennedy, Michael Smith and Catherine Wanek, editors. The search for housing that is healthy, affordable, and environmentally responsible is leading a growing number of people to take a fresh look at natural buildingan approach that uses traditional materials and methods abandoned by the modern construction industry. This extremely well-illustrated book fills the gap on earth, lime and gypsum plasters, as well as natural finishesfeaturing numerous drawings and photosand offers advice on the design and construction of natural homes. 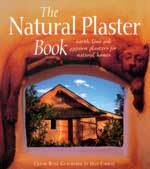 It teaches principles of plastering and plaster techniques, and describes the tools you'll need for a successful plaster job. The Complete Step-by-step Guide to Making (and Selling) Your Own Power from the Sun, Wind and Water. Are you interested in stretching your utility and heating dollar, or perhaps making the electrical meter run backwards by generating your own power? Does the latest talk of energy deregulation make you worry about the reliability and future costs? Or is it that beautiful cottage or home building lot, just a little too far from the utility poles? Whether you are just curious or an industry expert, if these issues are on your mind, then this handbook is for you. This book discusses how to stretch your energy dollar, doing more with less. Step-by-step guidance and easy to understand instruction will help you pave the way to better energy management and renewable energy production whether or not you cut the electrical supply lines to your home or cottage. This book describes how you can take control of a typical home to overcome the unwanted side effects of new technologies. 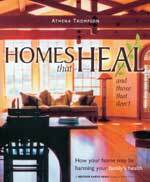 It ties together existing research into the interaction of chemicals, hormones, and electromagnetic fields, and outlines a series of interactive steps that can be followed to identify problematic environments and transform a sick house into a healthy home.